A critical part of the creation process is to give credit to the authors, researchers, artists, creators, etc. who influenced you. This is done through the listing of identification information, in the form of a citation that allows a reader of your work to find the original text in which you obtained your facts. In an academic paper you must cite the articles, books, reviews, etc. you utilized to support your thesis -- where you use the information within your paper (in-text or footnote) and at the end in a bibliography, reference, or works cited page. By citing your sources and giving credit to the author you will avoid plagiarizing. Citations are created by following the style that your professors choose to use for their classes. In a single semester, you may have 3 classes that use 3 different citation styles. There are many different types of citation styles but the most common are APA (American Psychological Association), MLA (Modern Language Association), Chicago Manual of Style (University of Chicago), and Turabian (Kate Turabian). There are also lesser used citation styles, such as ASA (American Sociological Association) and AMA (American Medical Association). Make sure you know what citation style your professor wants you to use. 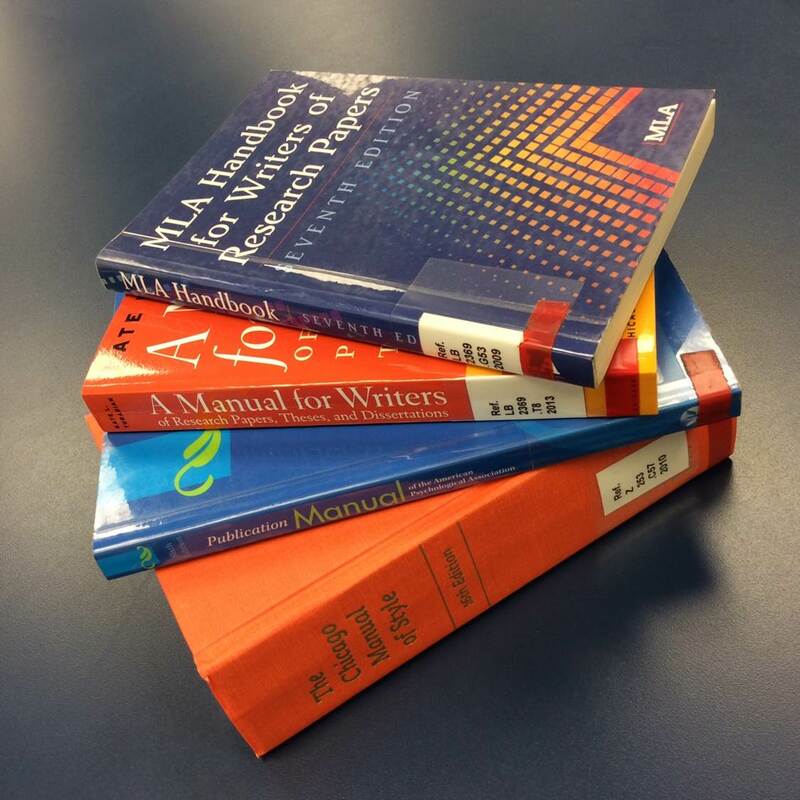 You will find paper copies of each style manual in the CSU library at the reference desk. The links below connect to websites which give examples for each style. For each of these styles you will need different pieces of identification information to build the citation, so remember to follow the manuals online or in the library. A URL alone is never a sufficient citation! By writing this information down as you go, the actual writing of your paper should proceed smoothly and you should never have to worry about forgetting where you found the information. Additional information on how to research can be found on the CSU Library's Where to Start Your Research Guide.